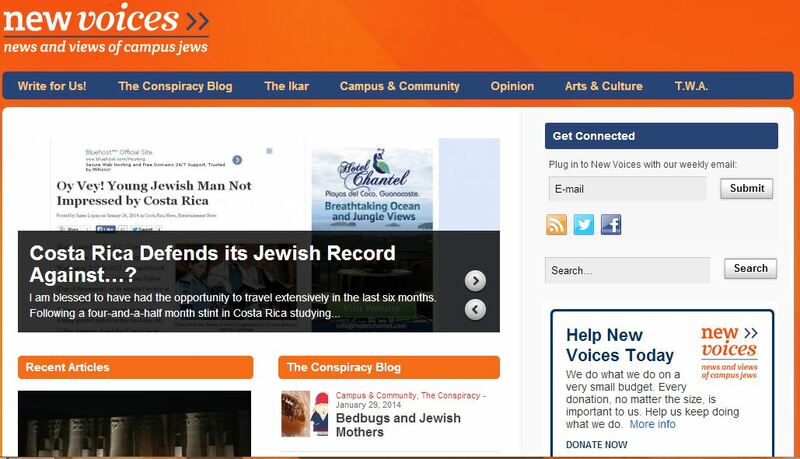 If you read my piece for New Voices comparing my experience as a Jew in Costa Rica and Israel, you weren’t the only one. A number of bloggers read it as well and were not impressed. Some of it reached near libel and/or anti-Semitism. Read the responses for yourself. The home page of New Voices featuring the my blog post. Shortly after my blog post went live, the Costa Rica Star responded (I think?) and confirmed my critique of their earlier article about me (I think? ).